﻿ Fluevog Shoes - Boulevard de Fluevog at Fluevog Portland! Boulevard de Fluevog at Fluevog Portland! 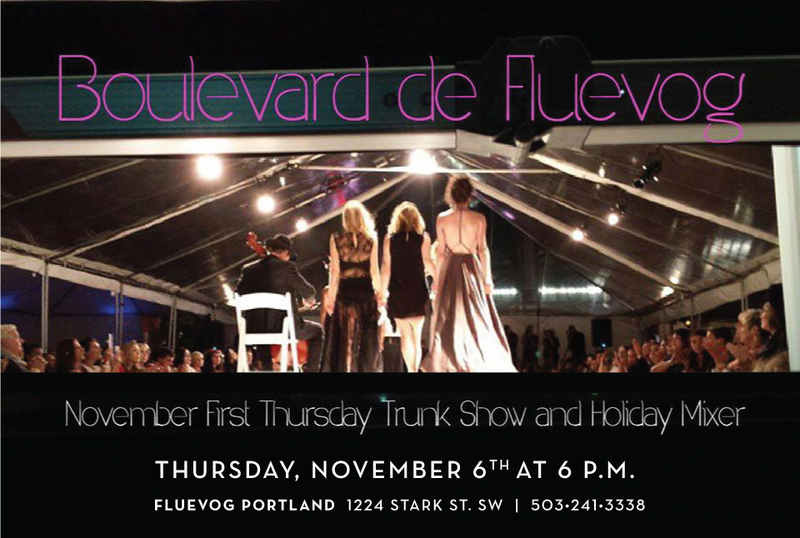 Your invited to a special November First Thursday trunk show and mixer by Boulevard de Magenta at Fluevog Portland. See designer Wendy Ohlendorf’s runway looks from all Fall shows, a limited collection of new holiday pieces, and of course the latest in Fall Fluevogs!